Don Brash’s attempt in the Herald a week or two ago to deny the accuracy of my account – also published in the Herald – of how the banks are not merely intermediaries but create out of nothing most of the money in circulation can be explained in two ways, but neither does much good for his reputation. On the one hand, he might have known perfectly well that my account was accurate but nevertheless tried deliberately to mislead the Herald’s readers. Or, and perhaps more probably, he might genuinely have been ignorant of the true state of affairs. In either case, my rebuttal – again in the Herald – of his assertion that I was “peddling nonsense” has a number of ramifications that are worth pursuing. For a start, here was one of our most high-profile public figures revealing that he was woefully ill-informed on a subject on which he was widely regarded as expert. He had, after all, been the country’s top banker, and that is to say nothing of his eventual emergence as a “hard right” politician – leading first the National party and then Act, and only narrowly failing to become our Prime Minister in 2005. As Governor of the Reserve Bank, he had been the principal champion and practitioner of the neo-liberal economic policies which became known as “Rogernomics”. Are we happy that our economic fortunes were entrusted to a single individual who understood so little of his subject, and that ministers applauded themselves for their disclaimer of any responsibility for the decisions he made? His woeful attempt to deny what is now accepted must cast huge doubt on the continuing legacy of “Rogernomics” in our economic policies. The whole myth of prudent economic management under neo-liberal policies must be reconsidered in the light of what we now know is the banks’ self-interested creation (or “printing”) of billions of new money. 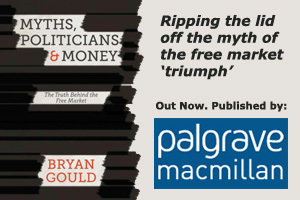 The frequent condemnations of any suggestion that governments might “print money” (unless it is “quantitative easing”, with the purpose of bailing out the banks) must now be viewed against the relaxed attitude towards the banks doing precisely that – day in, day out, and on a massive scale – for their own profit-making purposes. An acknowledgment of the true role of the banks should lead us to reconsider many of the hitherto accepted nostrums in tackling economic problems. Inflation? No, not created by greedy workers claiming higher wages but by banks printing more and more money to boost their profits. Housing unaffordability? No, not attributable exclusively to a shortage of supply but fuelled by the bellows applied to inflating house prices by billions of new money being created out of nothing by the banks to spend on house purchase. Those many well-intentioned people attempting to explain why house prices go on rising need look no further. And what of the constant drag on our balance of payments as a result of the transfer every year back to Australia of the billions of dollars in profits made in New Zealand by our Australian-owned banks – profits made from the interest we pay on money created out of nothing by those banks? How did we allow this situation to develop? And should we let it continue? Perhaps the most fundamental questions arise in respect of how long it has taken to bring the true state of affairs to public attention. Why have the media not blown the whistle long before now? Why is the revelation of the truth even now largely ignored, and even denied, by media outlets? And what of our politicians? It is perhaps to be expected that politicians on the right might see it as in their interests to conceal and obfuscate. But what of the left? Are they too timid or lacking in confidence or too imbued with neo-liberal convictions themselves to challenge an orthodoxy they profess to criticise and oppose? Are they really so frightened of losing the argument that they dare not take it on? And are they so focused on winning approval from the guardians of neo-liberal orthodoxy that they are prepared, for the sake of staying in the good books of bankers and their ilk, to ignore the truth, and to fail thereby those who have no one else to defend their interests? Because we weren’t told that this was happening by the people who should have told us – the politicians. Which left do you mean. Electorally we don’t really have one. I’d say that Labour are imbued with neoliberal convictions. Lange introduced it, Shipley intensified it, and Clark made it acceptable. Half the time I get the impression Little doesn’t know what’s going on. I doubt if anyone in parliamentary Labour realises that there is actually an argument. We have nobody even remotely like Corbyn. The Labour party seems reluctant to acknowledge that there might be ideological differences between themselves and neo-liberalism. If there are not, then Heaven help us! If there are, why are we so frightened to engage? This is prof Richard Werner explaining how the whole thing works in this short clip. It’s stunning really. I think what Don is getting at is that monies lent by the commercial banks come from overseas borrowing. Presumably the proceeds would be sold to locals who wish to import stuff or travel overseas. The NZ doollar receipts would then be available for lending locally. This would mean that bank lending comes, not from Fiat money, but from the pockets of locals who need foreign exchange. It would assume of course an adequate demand for foreign exchange. I have no idea whether this is what is actually happening, but it seems to me that this is what Don is suggesting. This may be what he is “getting at” but it is totally at odds with what actually happens, as many authorities – even from within the banking sector, like the Bank of England – attest. Mark Carney is obviously correct, but what he says may not apply universally. The scheme outlined in my earlier comment seems at least plausible. I must say I have no particular desire to defend Don Brash, who seems far too ‘neoliberal’ for my taste, but one must be fair. 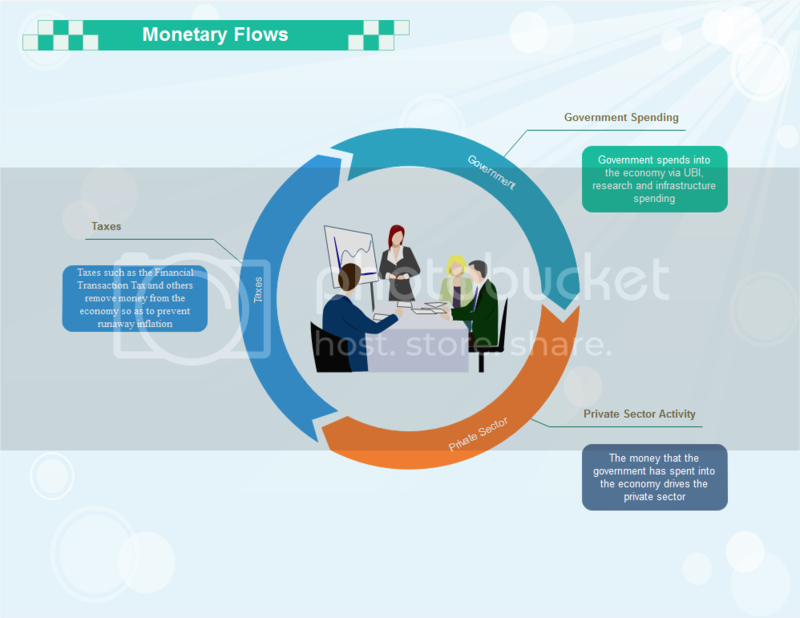 The process described by the Bank of England is the same process as was described in a paper issued in 2008 by the Reserve Bank of New Zealand. The article was the one on the slowdown in house price rises. – his housing argument depends on the old neoliberal intersection of supply and demand curves, but refer Steve Keen for full discussion on this. That’s not to say there isn’t a shortage of houses but the reason given of land constraints is missing a bit of non neoliberal detail – lack of planning, market failure, no infrastructure. The use of the US housing market post crash on the down cycle seems convenient given reports on Australian, British, Canadian experiences. Bryan I hope you don’t let this rest? The Herald have told me that “this is the end of it” – in other words they will not publish anything more from me, thereby leaving Brash with the last word. By way of protest, I am posting on my website an e-mail I have written to John Roughan at the Herald. Thanks Bryan, keep up the fight! Thanks Kevin, please see my website for my latest comment (without the aid of the Herald, I’m afraid). The conclusion is “This study establishes for the first time empirically that banks individually create money out of nothing. The money supply is created as ‘fairy dust’ produced by the banks individually, “out of thin air”. It is amazing that economists don’t agree on how the banking system actually works and offer three theories to explain the situation. I thought am I imagining things;this is a Doctor of Economics; a Former Central Bank Governor ;a Leader of the Oppositions!!! !Is he foxing us or is he dumb??? I thought “What a WALLY”!!!! If banks create money through lending, i.e. the loan is not backed by the bank’s reserves, then they will have to pay interest at the OCR rate whenever the loan monies finish up in the account of another bank’s customer. However, this can usually be offset by loans by other banks’ which end up in their own customers’ accounts. This is probably what Brash means when he says that banks can create money in aggregate but not individually. It is probably risky for individual banks to lend much febeyond their reserves. Therefore if the demand for housing finance is excessive a bank may have to borrow, usually from overseas sources, to meet that demand (as hinted at in an earlier comment of mine on this thread). If it was up to me I would insist that all demand deposits be held in a separate account at the Reserve Bank, and that monies in this account not be used as reserves to back up loans. This would make it much more difficult for banks to engage in excessive lending without incurring OCR interest.